A 1980s advertisement for men’s work clothes had a line so catchy it became part of Australian vernacular: ‘Don’t talk to me about boats. I know boats!’ Here’s a quick summary: A luxury yacht owner complete with captain’s hat is about to load a bunch of passengers into a small dinghy. A trendy dock hand suggests making two trips to which the ‘captain’ replies rather pompously, ‘Don’t talk to me about boats. I know boats!’ He then, with perfect theatrical timing, steps off the dock into the dinghy and breaks straight through the wooden floor into the water. ‘I know boats’ was so engaging it made it into the urban dictionary where the entry records the famous line as referring to ‘a know it all’. In many ways, if we’ve been doing things for a number of years, it’s understandable to feel as though we really do know it all. But that’s exactly the warning embedded in the urban aphorism. Do we know everything there is to know about boats and everything there is to know about the possible ways in which the environment, the cargo, the passengers, the crew and our own humanity can interact, sometimes dangerously, with the ‘boat’ we purport to know so well? The crew flying a Boeing converted freighter, known as 747-400 BCF, definitely knew long-haul cargo. They had a saying at the company ‘you call, we haul’. The US Federal Aviation Authority (FAA) had approved the aircraft to fly under the Part 121 supplemental-cargo flight regulation and the operator had staffed the aircraft with a crew of seven: four pilots (two augmenting), one loadmaster and two maintainers. The pilot in command (PIC) had been flying with the company for nearly 10 years and had over 6000 hours total with nearly 5000 in command. A recent check report described him ‘as well prepared, dedicated, and excellent in his training’. The first officer (FO) likewise, despite only having 1100 hours total, was described as ‘very well prepared’ and with ‘good flying skills’ despite his low pilot time. 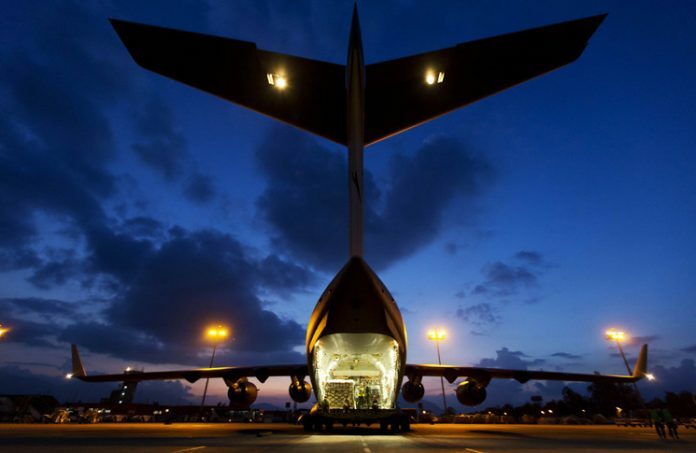 The loadmaster had flown with the company for about three years and prior to that spent 10 years as a ground handling supervisor and trainer. He had passed a recent line check which included ‘tie-down restraint criteria and calculations, shoring (load-spreading) computations and cargo conveyance/restraint systems operation’. But, on 29 April 2013, on a planned flight from Bagram, Afghanistan to the United Arab Emirates, the crew didn’t ‘know’ everything they needed to know. They had been asked to transport five mine-resistant ambush-protected (MRAP) vehicles, three weighing 12 tonnes each and the other two weighing 18 tonnes each. They had never carried such cargo before and had elected to use an improvised restraint configuration of tie-down straps, pallets and shoring. About 1527 local time, the pilots were discussing the fact that one of the restraint straps on the armoured vehicles had broken on the previous leg and the pallets had moved a few inches. About 30 minutes later the crew had completed their pre-take-off checks, and despite their misgivings, there was no further talk about the five armoured vehicles in the hold below. The 747 taxied and lined up on the runway, power was applied, and the aircraft accelerated down the runway with the armoured vehicles now straining against their straps. At take-off speed, the nose of the 747 rotated upwards for climb-out. As it did so the accelerative force acting on the armoured vehicles and the inclined cargo deck proved too much for the tie-downs—the rear-most vehicle broke free moving rapidly backwards. Eighteen tonnes of military-grade armoured steel struck and penetrated the aft pressurised bulkhead causing fragments and misting hydraulic fluid to fall onto the runway below. The damage wasn’t enough to bring the 747 down but it was bad enough: hydraulic systems no. 1 and no. 2 and the horizontal stabiliser jackscrew assembly were badly impacted causing the horizontal stabiliser to drive away from the set take-off position to a 5° leading-edge-down position. The nose of the aircraft pitched further and further up. In the cockpit, the flying pilot pushed desperately forward on the control column but there was no response—he had become a passenger with absolutely no useful pitch control over the aircraft. The loss of hydraulic pressure and the mechanical damage to the jackscrew assembly meant the horizontal stabiliser and the elevators were essentially non-responsive. The aircraft continued climbing at a dangerous pitch angle into the sky, bleeding airspeed the whole way. Eventually, what aerodynamics had given, it took away. The 300-tonne aircraft stalled and the nose plunged. Ground impact was accompanied by a huge fireball. The terrible scene can be viewed here. What was supposed to be a long-haul flight ended up being a 30-second horror ride. National Airlines was competent at routine cargo flights. But on that day in Bagram there were non-routine challenges on what was otherwise a routine flight. Firstly, the vehicles wouldn’t fit into unit load devices. These are large storage containers that lock into purpose-built retaining devices in the aircraft floor negating the need for tie-down straps. This meant the vehicles had to be loaded onto centerline-loaded floating pallets. Shoring was then used to spread the weight of each vehicle over the pallet and numerous tie-down straps connected the palleted vehicles to floor-anchored attachment points. Moreover, there was no standard operating procedure (SOP) for the loading of the vehicles. 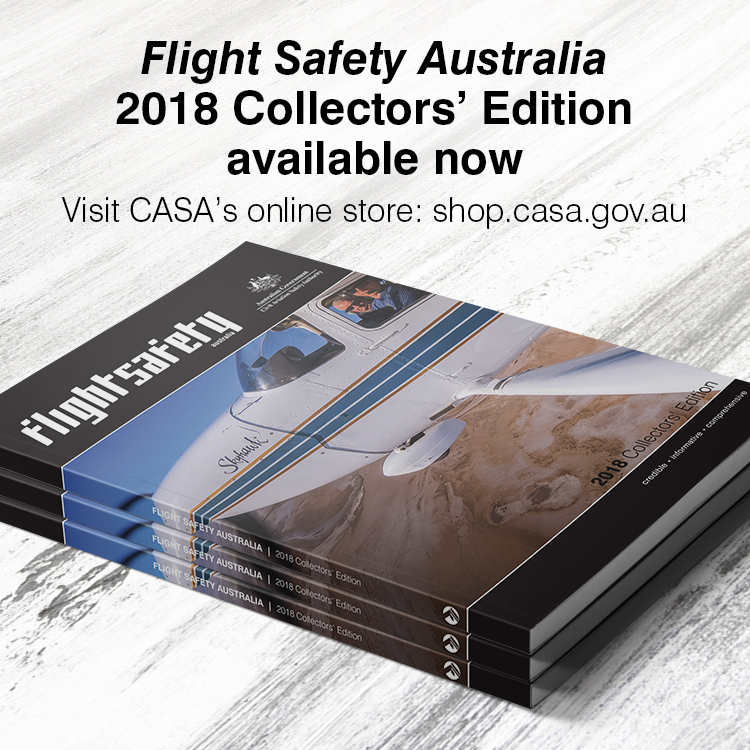 Specialist information from Boeing and Telair (manufacturer of the cargo loading system) had not been included in the company’s operations manual. Without this specialist technical advice, the improvised tie-down configuration was in effect, jury-rigged. In the NTSB’s subsequent investigation, the following line is repeated several times: ‘The cargo represented the first time National Airlines had attempted to transport five MRAP vehicles’. The NTSB also noted current FAA guidance for restraining special cargo loads was inadequate, cargo handling personnel were not FAA certified (the loadmaster had been on duty 21 hours at the time of the accident), surveillance of air carrier cargo handling was inadequate, and the operator had deficient procedures for restraining special cargo loads. In short, when it came to carrying these specific armoured vehicles, no-one, from the regulator to the operator, comprehensively ‘knew boats’. There are many different species of what scholars call ‘normalised deviation’ but this is a particularly pernicious kind, a kind we could call ‘competency confusion’. Competency confusion is a slow drift with the ‘success’ of the routine. As one ‘normal’ day stretches to another, a general feeling of competency can over-reach onto the non-routine and the abnormal. In Afghanistan it was another routine day, on a routine flight with routine weather, but hiding in plain sight was a non-routine specific: the unusual cargo. When asked by the customer, ‘let us know of any additional precautions before confirming the load’, the chief loadmaster replied, ‘that shouldn’t be a problem,’ instead of going back to the drawing board and seeking advice from Boeing, Telair or another appropriate agency. The unorthodox was treated as routine and a tragic accident ensued. In conclusion, I want to confess something that really bugs me about the ‘I know boats’ ad. As the final scene fades, the hero with the trendy pants struts off down the pier leaving the ‘captain’ half drowning amidst the debris of his dinghy as the now-stranded passengers look on. There seems to be as much wrong with that cocky walk as there is with the obnoxious captain. The fact of the matter is none of us know all things all of the time—including that deck-hand. One almost expects he’ll be next to take a pride-rupturing fall. The lesson is any one of us, no matter how experienced, can drift with the routine and end up with a mentality that mistakes assumptions for assertions. wisdom to learn the difference. Excellent article. Summarized, the lesson might read: “the antidote to hubris is humility”. May we have the wisdom to apply the lesson. It is very important to emphasise strict adherence to SOPs, and combat normalised deviance. But what has happened to common sense? I know commonsense is not talked of a lot because it is difficult to quantify. It is not normally used in a court of law because it cannot be used to shift the blame. Commonsense needs no paperwork, is not necessarily enhanced by training, and can shine a light through inadequate SOPs. One practical example of common sense is over engineering. Yet because we are concerned about squeezing the last dollar out of every project, our minds can be clouded to the point that we will fail to see even the most obvious problems.